Happy Thanksgiving! I hope everyone is enjoying the holiday. 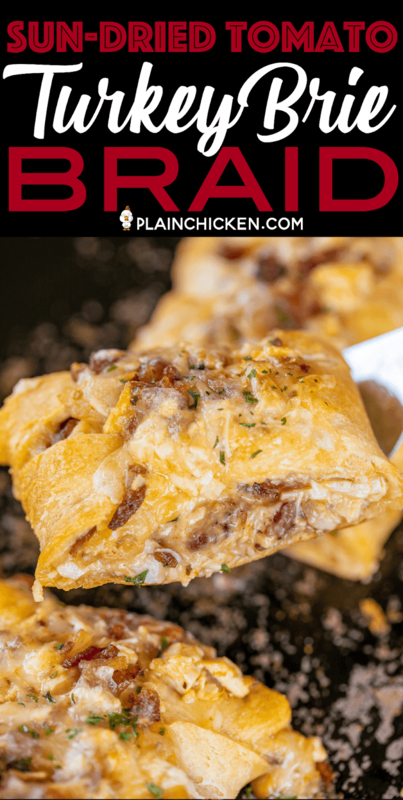 Today I am sharing another delicious recipe for any of that leftover turkey you might have from the big meal today. 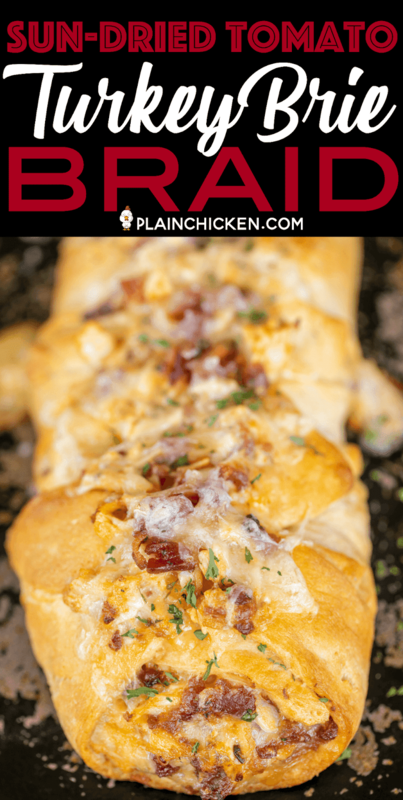 This Sun-Dried Tomato Turkey Brie Braid is crazy good! 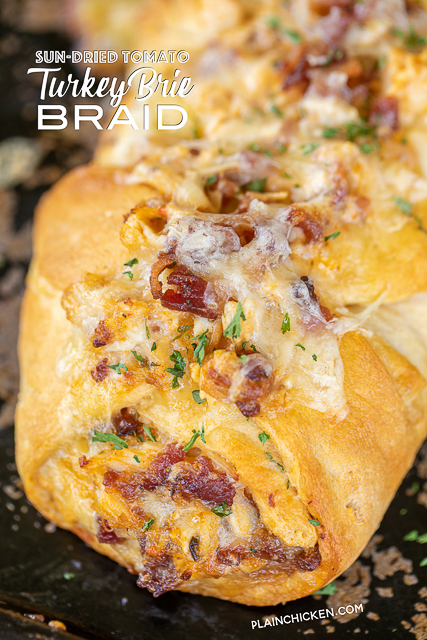 We love this yummy sandwich braid all year long. 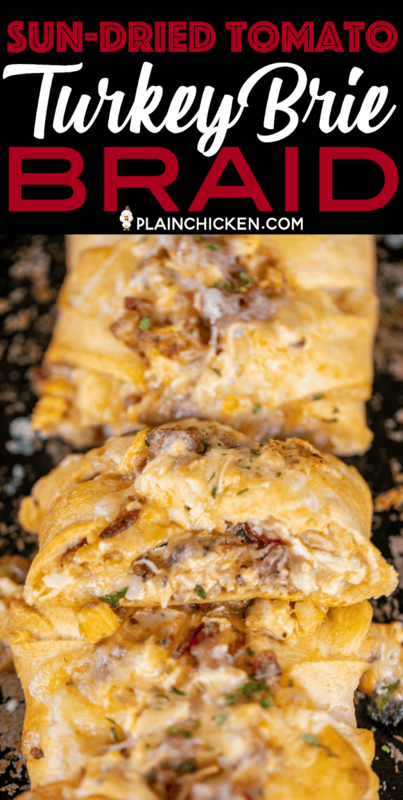 Turkey, mayo, sun-dried tomato pesto, bacon and brie wrapped in crescent rolls and baked. Seriously delicious! I like to save a little of the sandwich filling to spread on top of the crescent roll braid during the last few minutes of baking. You need to wait until the last 5 or 10 minutes of baking or the crescent rolls won't bake all the way through. You can skip this step. I just think it makes the sandwich braid look extra pretty. 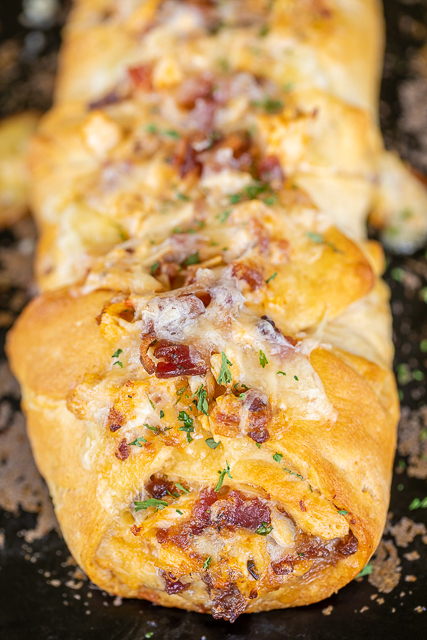 This Sun-Dried Tomato Turkey Brie Braid is a faux braid. You are going to unroll the can of crescent rolls into one long sheet. Don't separate into individual rolls. 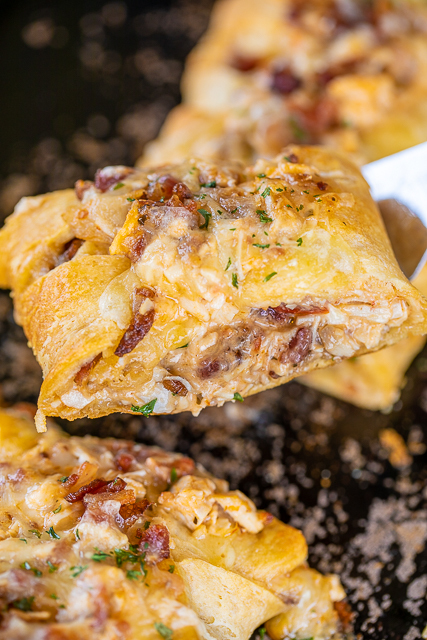 The crescent sheets work great for this recipe. You are going to cut 10 slits on each side of the long roll. Add the filling in the middle and then criss-cross the strips across the turkey filling. So easy & it looks great. This also tastes GREAT!!! 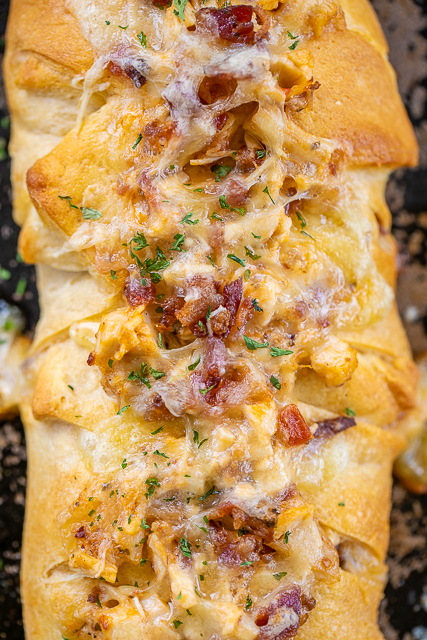 You are definitely going to want to make this with your holiday turkey! 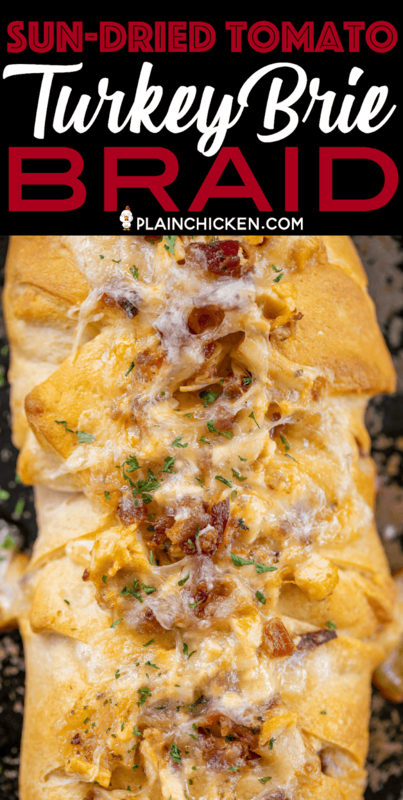 Mix turkey, cheese, bacon, mayonnaise and sun-dried tomato pesto together. Spread turkey mixture down center of crescent rolls. Cut 10 strips on each side of the dough - leaving the middle uncut. 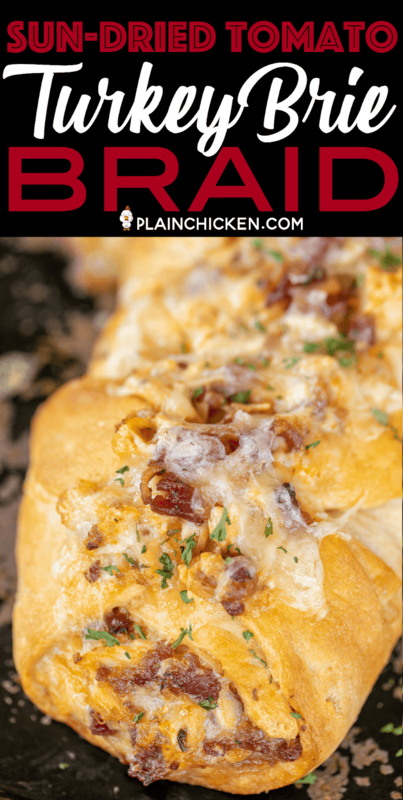 To braid, lift strips of dough across mixture to meet in center, twisting each strip on turn. Continue alternating strips to form a braid.